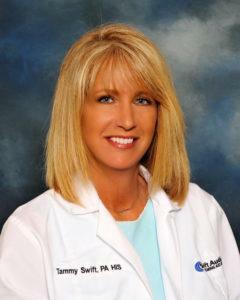 Tammy Swift is a Board Certified Hearing Instrument Specialists. Tammy is also a Certified Lyric Specialist. She has worked for Swift Audiology since 2011. Tammy truly is committed to the highest level of care for her patients. She is unique, in that, her compassion for her patients is genuine and the quality of providing excellence in service is of the highest standard. She is experienced in fitting hearing devices for individuals of all ages and finds even the most challenging cases, to be the most rewarding.